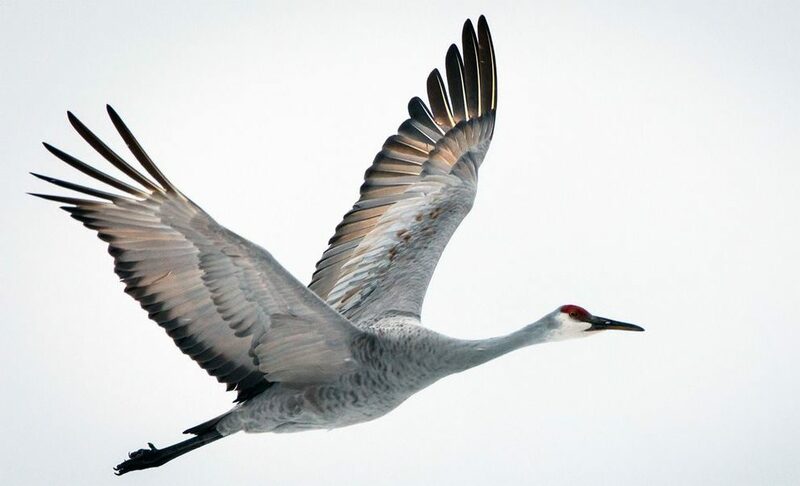 Beginning in mid-February and concluding in April, between 450,000 and 700,000 sandhill cranes migrate from their wintering grounds in southern regions like Texas and New Mexico to summer breeding sites in the Arctic and subarctic. It’s one of the world’s great natural wonders, on par with the massive seasonal migrations of wildebeest, caribou and monarch butterflies. While filming the cranes, Nelson says he was given a front-row seat to the 4-foot-tall birds’ famously large personalities. “Habitat destruction is probably the biggest threat that these birds face,” said Nelson. “They require vast, sprawling wetlands in order to roost and feed, and these lands are disappearing due to a combination of factors that include human development and climate change. For instance, here in the Southwest U.S., winters have been gradually getting drier and the winter wetlands have been shrinking significantly. In some areas, water must actually get pumped into designated protected areas just to help maintain and preserve these dwindling habitats.